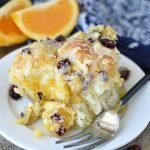 Easy Cranberry Orange Monkey Bread, or pull apart bread, is an easy semi-homemade overnight breakfast recipe! 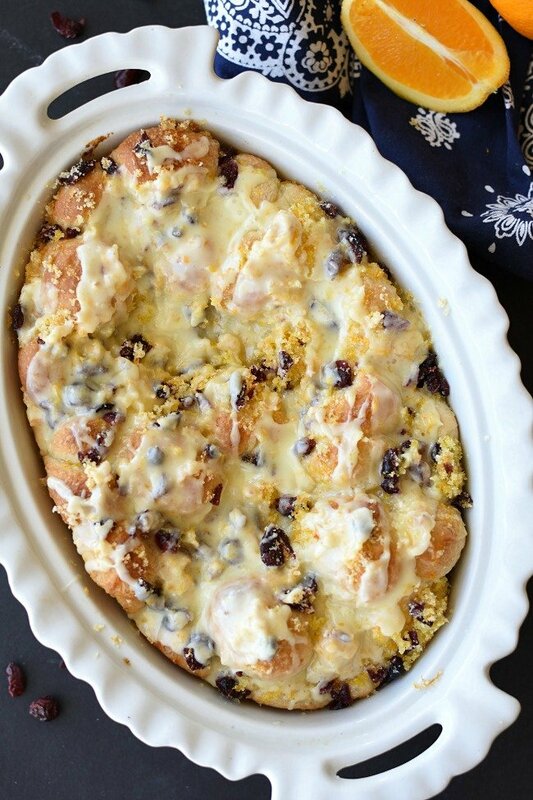 It’s made with frozen Rhodes rolls, sprinkled in orange zest and sugar, drizzled with butter, and topped with gorgeous red cranberries! 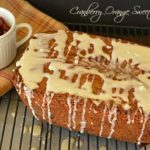 A citrus orange glaze really is the icing on the cake with these easy bread recipe! 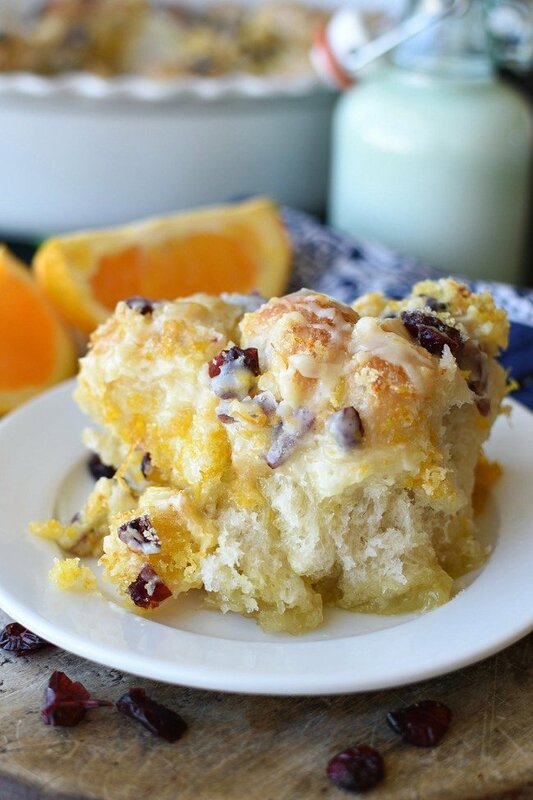 You guys, I couldn’t be more excited to share this Easy Cranberry Orange Monkey Bread recipe with you! I’ve been experimenting and trying to create the perfect orange pull apart bread for a while now. 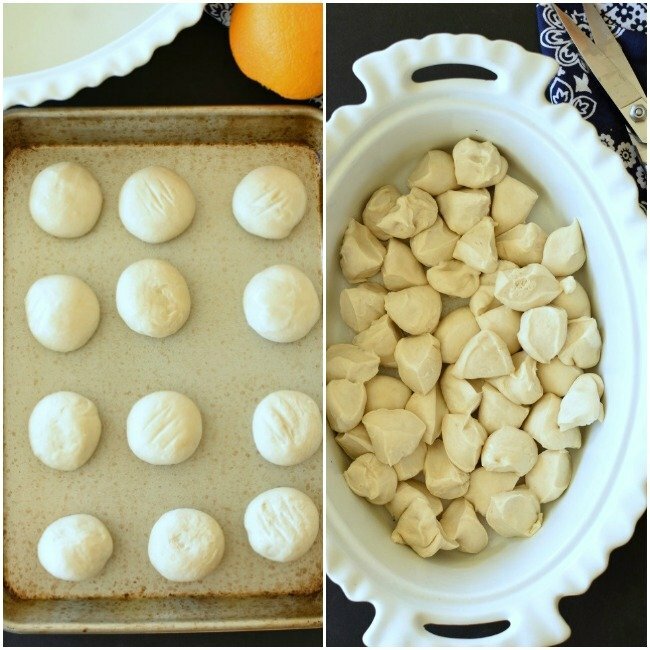 I can promise you, this is the PERFECT orange monkey bread recipe! There’s something magical about home-baked bread coated in sugar, drizzled in butter, and then there’s the icing! The icing seeps down into the little crevices in the monkey bread and makes it even better than you can imagine! 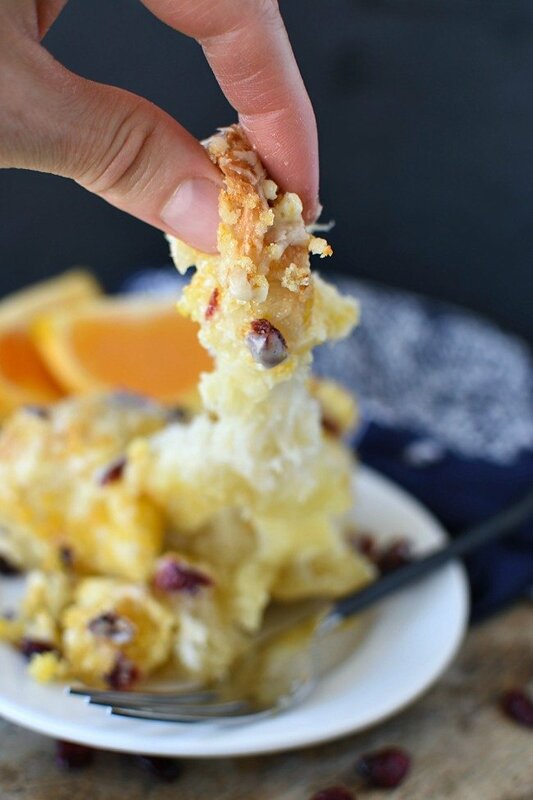 Easy Cranberry Orange Monkey Bread is the perfect make ahead breakfast! So many of the monkey bread recipes I tried were either soggy, or dry. This one is neither, it’s has incredibly soft bread on the bottom and a perfectly crispy, sugary, golden brown crust on the top. One of the versions I tried had dried craisens mixed in with the rolls and they got rehydrated while the bread was rising. Um, once they are puffed back up they lose that chewy texture and don’t taste like dried cranberries anymore. With this recipe they stay exactly how they are meant to be! 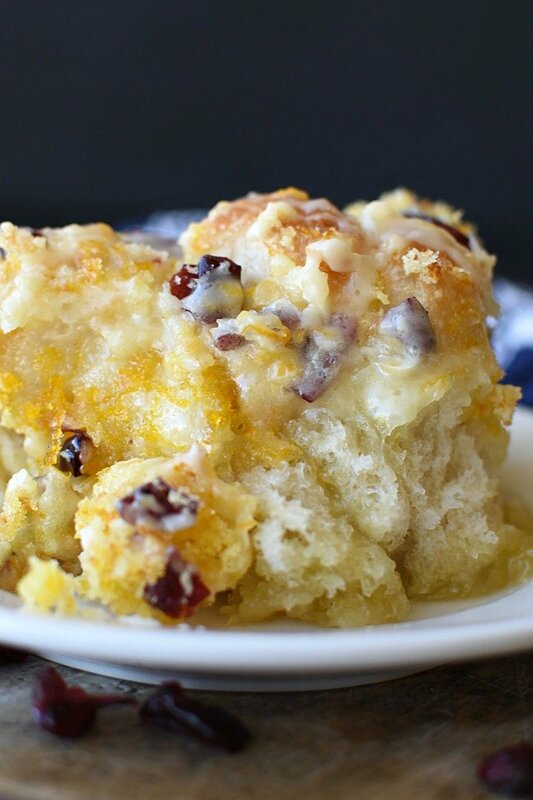 For awhile, I was thinking maybe I’d have to ditch the cranberries and just make orange monkey bread. If you don’t like cranberries you can easily leave them out, but I’m telling you they are gorgeous and delicious in here! Oh my goodness, then there’s the icing! Did I already mention the icing? It’s just right! It’s drizzling consistency, not to thick, not too thin. The orange glaze settles down in between the pieces and makes every single bite extra amazing! What’s the best bread for making monkey bread? If you’ve spent any time poking around the internet trying to find a monkey bread recipe you’ve probably noticed that there are lots of ways to make it. Some people use biscuits, some make their own dough from scratch. Those options are okay I guess, but I prefer using Rhodes frozen rolls. They are EASY! What can I say? I’m a busy girl and will take any shortcut I can get, especially when it tastes just like I spent all day making it! Homemade tasting bread without the fuss? I’m in! Biscuits make a drier monkey bread. I love the yeasty, homemade bread taste. Tips for making monkey bread. Thaw Rhodes rolls only until they are soft enough to cut. It should only take about 45 minutes to an hour depending on how warm the room is. At this point they won’t be too sticky yet, which makes the cutting process so much easier. Cut each roll into quarters. Kitchen shears are the very easiest way to cut the rolls. If you don’t have kitchen scissors you can use a knife. Cover rolls with plastic wrap sprayed with baking spray while they thaw, and rise. This prevents them from drying out, and prevent the wrap from sticking to the rolls. How do I make a small batch of monkey bread? Most monkey bread recipes are made in a bundt pan and use about 24 rolls. This recipe is baked in a 9 x 13 baking dish and only uses 12 rolls. It’s a much better size for my family since Cranberry Orange Monkey bread, and most other monkey breads, are best served warm, right out of the oven. This monkey bread recipe can even be made into a smaller batch. Then decrease the amount of rolls you need, and the amount of sugary mixture. Bake the bread in a smaller dish. Does monkey bread need to be frosted? Some monkey breads create their own glaze. You’ve probably seen the monkey breads made in a bundt pan, then turned over and they have a caramel sauce on them. Those don’t need a glaze, or icing. But then again, does anything really “need” frosting. Probably not, but it’s the icing on the cake, or monkey bread! Cranberry Orange Monkey Bread isn’t as gooey on the bottom as some, but it’s every bit as delicious! I guess what I’m saying, is this bread deserves a little something extra! You could up the orange game and serve this bread with orange segments and orange juice. My boys like it with milk, because we are dairy farmers and we drink milk with everything! 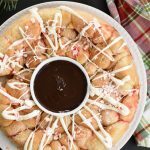 This recipe is one of my favorites for holiday entertaining, because it can mostly be made ahead of time. Gorgeous breads like this help make the day feel special, and guests always go crazy for it too! It’s also an awesome weekday, or lazy weekend breakfast because it’s so easy. A breakfast like this definitely makes boring old mornings a little more exciting and worth waking up for! 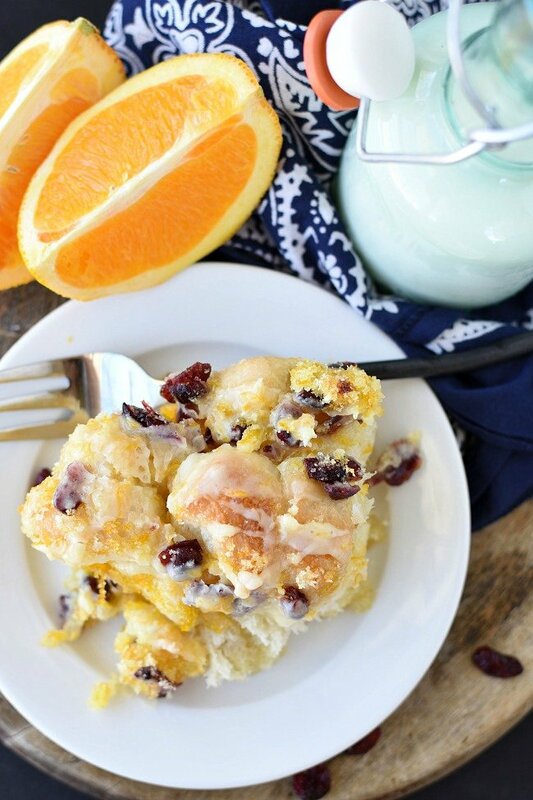 Grab the Easy Cranberry Orange Monkey Bread Recipe! Be sure to pin the recipe for later! Enjoy your day! 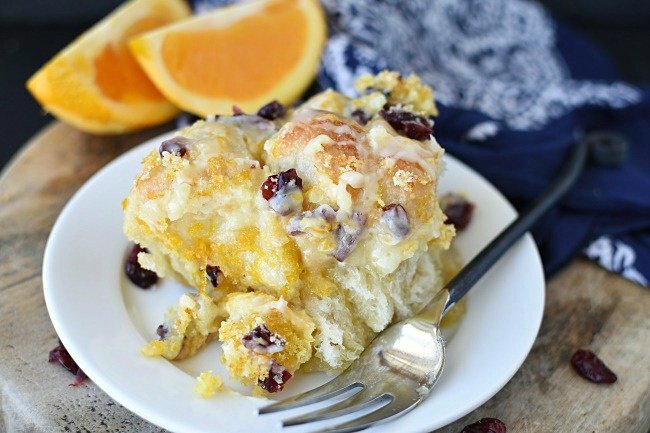 Cranberry Orange Monkey Bread is a super easy recipe, thanks to Rhodes frozen rolls! 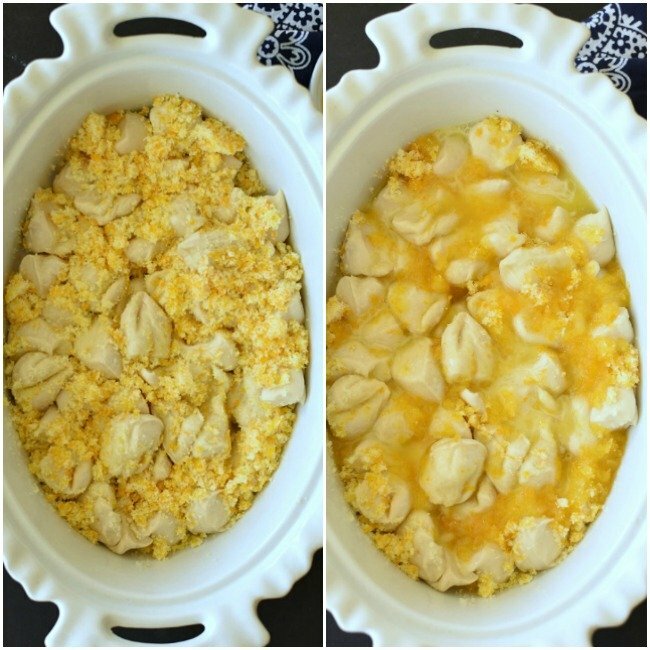 Make it the night before, pull it out of the fridge in the morning, and pop it in the oven! 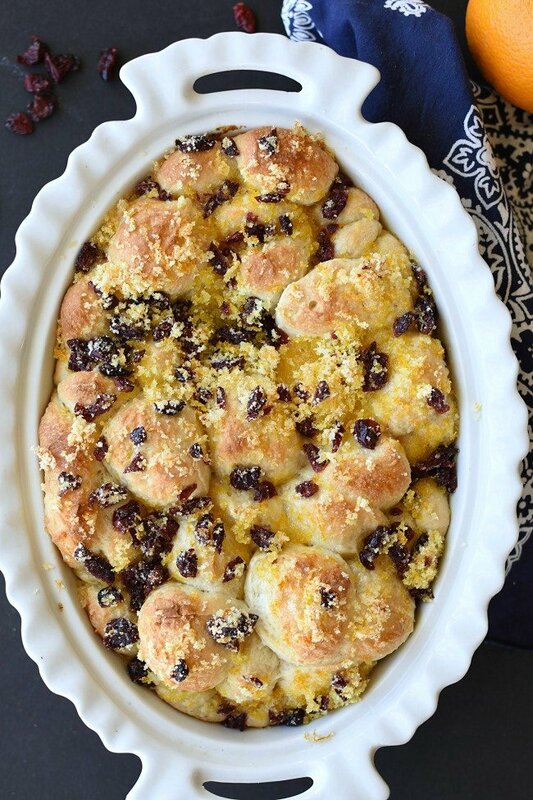 Pull apart bread is always a fun treat for the whole family! Spray a 9x13 pan with baking spray. Mix granulated sugar and orange zest, don't forget to reserve a teaspoon for the glaze. Sprinkle half of the sugar mixture over rolls in pan, reserve the other half of the sugar mixture for later. Gently move the rolls around to allow part of the sugar mixture to coat the rolls just a little bit. Melt butter. Pour over rolls. Cover with plastic wrap and refrigerate overnight, or let rise in a warm spot until doubled in size. Preheat oven to 350 degrees. While oven is heating sprinkle remaining sugar mixture and chopped cranberries over monkey bread. While monkey bread is baking make the glaze. Mix powdered sugar, orange juice, orange zest, a sprinkle of salt, and almond extract together until smooth. Drizzle glaze on monkey bread while it's still hot. Love orange and cranberry together! 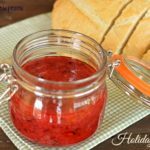 Will definitely try this for breakfast during the holidays for my visiting family! Love your site! Thank you for all your recipes! Orange and cranberry is the perfect flavor combo for the holidays! This bread is perfect for company since it can be made the night before! Enjoy! Ooooh, the texture – that looks so perfect! Now I know what I will eat for breakfast. This is really a great recipe for me. I really want to try. I’m sure your recipe is very tasty. Thanks! It’s so easy which makes it perfect for weekday breakfast, weekend breakfasts, and for entertaining! Enjoy! SO delicious! Loving the flavors. And that glaze on top looks delicious! Awe, the glaze! 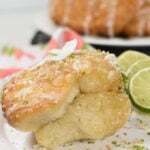 It really is like the icing on the cake with this monkey bread! This looks so delicious! I NEED to try this soon! I can’t wait for you to try it! The crispy sugar edges are to die for, but then again so is that warm, soft inside! I’ve never even thought to mix up monkey bread like this!!! What a GREAT idea! I can’t wait to try it out! This is the easiest monkey bread recipe I’ve ever made, and extra delicious too! Enjoy! Sounds perfect for the upcoming holidays! Anything make ahead is perfect for the holidays! Enjoy! Isn’t it a divine holiday flavor combo! It feels so festive! Thank you for this delicious recipe. Will be making this for thanksgiving morning.. I can’t wait for you to try it! It’s such and easy, yet incredibly delicious meal! Happy Thanksgiving! I was confused about the amount of butter for the glaze. I had already poured the 1/4 cup melted butter on the dinner rolls and placed in the fridge overnight. How much do I need for the glaze? This sounds so good . Good catch! The instructions for the glaze should include orange zest instead of melted butter. I just updated the recipe. Hopefully that helps! This monkey bread is out of this world! I can’t wait for you to try it! The instructions says to put in the refrigerator over night …… will the rolls raise in the frig? Or do you let them raise on the counter first and then refrigerate and cook the next morning?? The rolls will rise in the fridge as they sit overnight. If they aren’t quite risen in the morning, you can let them sit on the countertop for about and hour before baking. You really shouldn’t the extra rising time though.